Warren's deep had a sort of Lankhmaresque City-of-Thieves-and-Vagabonds thing going. 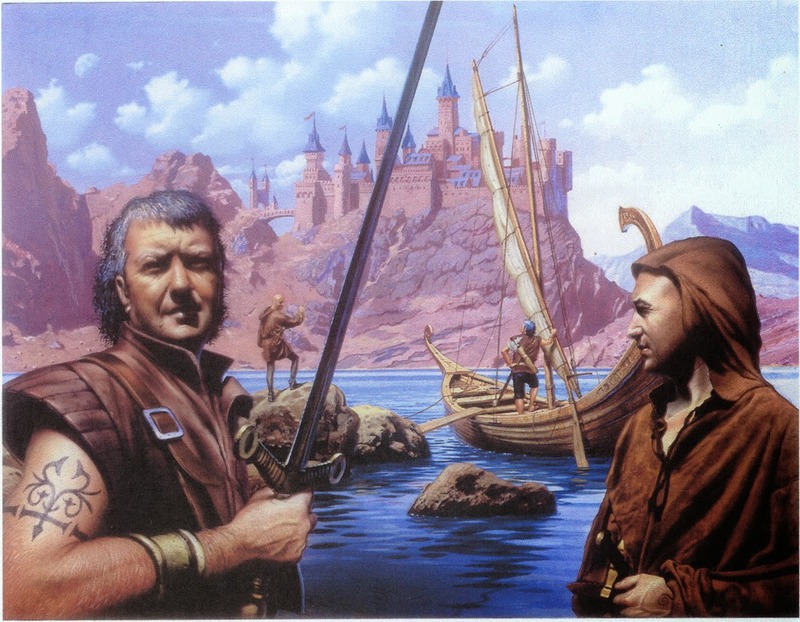 Also, I remember that the fiefdoms of Dappenshire and Kipperton had a bit of a rivalry going on, as well as intentions to add Warren's Deep to their lands. Flal was a sort of Bazaar-city on the edge of the desert, where all of the Nomads would come to trade. 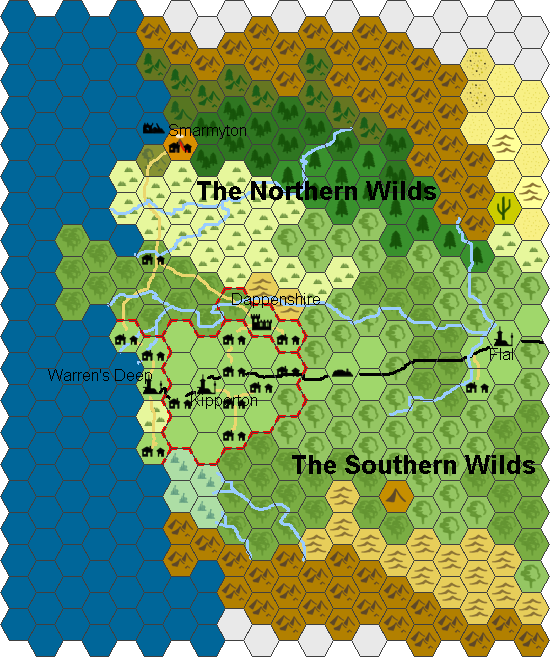 The rather small kingom of Hillstonia is a small, mostly-human kingdom. It is ruled by the Human King Afexanda who rules from the capital city of Clogsford’s Pass, located on a well established trade-route, close to the neighboring lands of the Scrugavi Drarves. A month’s travel West from there, the kingdom’s Western border is the great Sea of Diamonds. The largest city there is Warren’s Deep, a major trading port. A little further inland are the fiefdom’s of Ruford and Spinnywillet who swear fealty to the King. Monsters are not unheard in the lands, but fairly few and far-between, and mostly in the less civilized areas. With a population of 50000, this is a major city and, in fact, a few generations ago, was politically independent. Much of its prosperity is due to its geography making it fitting as a port. Much of the city’s success is due to the trade that this brings. This trade includes trade with the rare, nomadic, seafaring Elves of the Silent Light. The city is ruled by its Mayor, Captain Marchisee, a long time resident and Sea Captain. His hold on the city is not terribly strong. The city watch is only partially effective at keeping order within the city. The Mayor is loyal to he King, but due to city’s history of independence, the King does not keep a tight reign on things, other than the substantial tax revenues. The streets are full of an assortment of seamen, shop owners, beggars, cutpurses, drunks, travelling merchants, travelers, etc. At night, many neighborhoods are dangerous, and even some in the daytime. The inhabitants are mostly human.